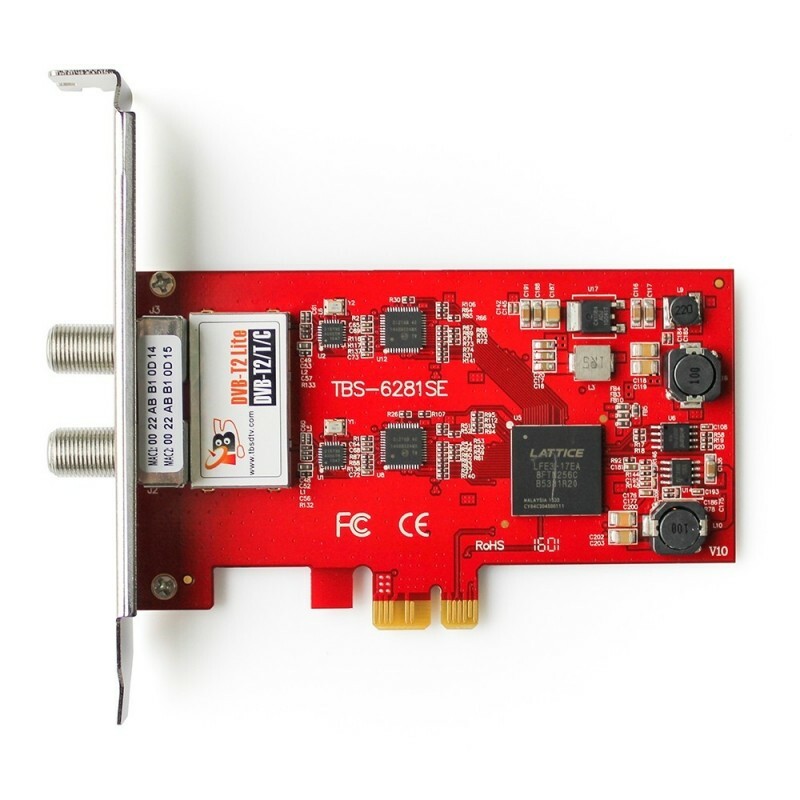 The TBS6281SE is a dual tuner PCI-Express interface DVB-T2/T TV Tuner Card which supports watching or recording two different channels from two different frequencies simultaneously. TBS6281SE DVB-T2/T/C Dual Tuner Card can be used as a digital video recorder for recording digital terrestrial TV programs with full HDTV support. It also enables you to pause a live broadcast and continue from where you left with the Time-shifting function. Click the button below to add the TBS6281SE DVB-T2/T/C Dual TV Tuner PCI Express Card to your wish list.